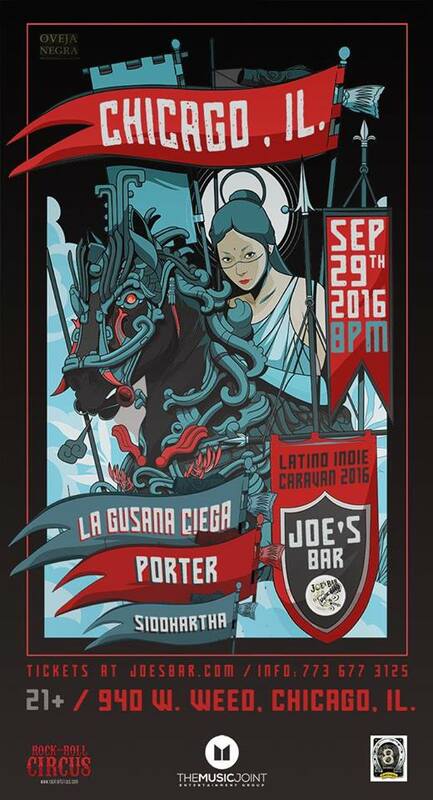 We lit in Chicago, y’all, and September is killin’ it with spectacular concert announcements including this: 8 Nation & Rock & Roll Circus present the Latino Indie Caravan Tour on Thursday, September 29 at Joe’s Bar. The lineup features La Gusana Ciega, Siddhartha and Porter with DJ Resistol Cincomil! What the what?! Yasss! LOCATION : JOE’S ON WEED ST.